(above) A Melbourne church is cleverly converted into a cosy home. Yes, I could happily eat Vegemite toast in that "space"! 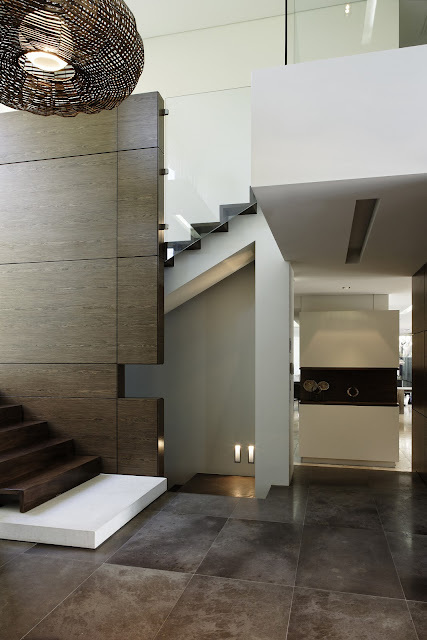 (above) The triple level staircase is a sculptural statement in this Sydney home, designed by Hare + Klein. inner city, designed by Carr Design Group. "When designing a room, it should always communicate who you are. It should shout out your individuality just the same as your taste in fashion or music does. Your abode should be an extension of your own personal mantra, because, after all, you are the one who will be spending the most time in the space!" "While darker shades of colour can add an air of sophistication to your room, be mindful of the rules of colour: the darker the shade, the smaller the room feels. Don’t go over the top with navys, maroons and greys and make the room seem confined. Minimalism is the key to excellence when it comes to the use of vibrant colour in your interior." "Remember: in any room there will always be a focal point one’s eye is drawn to upon entry, whether it’s a fireplace, piece of artwork or television. In living spaces its great to create a focal point that encourages conversation. Endeavour to direct the focus of the space to an aspect of the room worthwhile of the attention! If you are unhappy with the focal point of your room, rearrange and update this space, as the focal point will essentially epitomize the entire area." 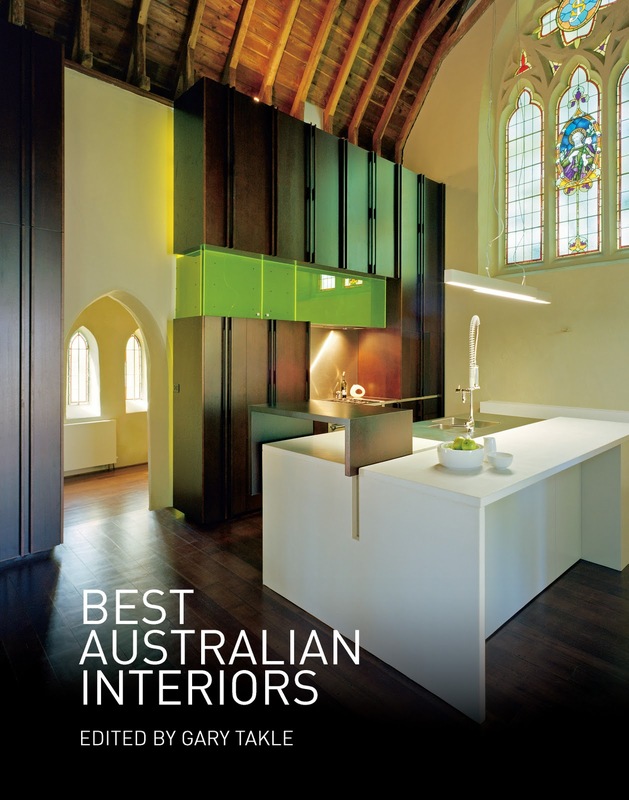 Best Australian Interiors ($39.95) is available now in all leading Australian bookstores, or you can buy it online at the "American Bookstore" (it's Australian! ), here. PS The American Bookstore is a "100% Australian" business (and online shop), founded by an American in 1957, the store imported titles from the USA and Japan not commonly available in Australia." 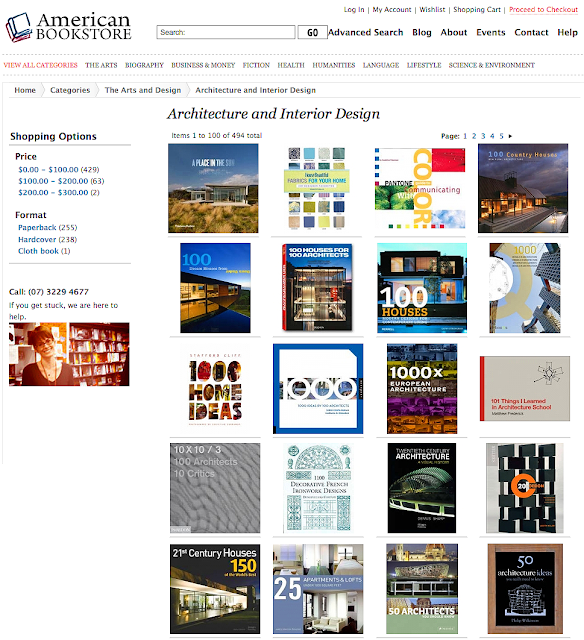 PS You must check out their Architecture & Interior Design section, they have an amazing collection. And PPS Delivery is $9 within Australia, no matter how many books you order! PPPS Best Australian Interiors is part of a beautiful series, and I'll be giving you the lowdown on Best Australian Architecture (also by Gary Takle) soon! Oh nooooo .. your post is going to cost me a fortune. I think I need each and every one of those books. I must run from the computer right now!